School Whiteboard Non-Magnetic - White board with a smooth, non-magnetic writing surface. For use with standard dry-erase or fluorescent markers. Hardwood frame with natural finish or sanded clean ready for stain or paint. Round corners are available. Aluminum frame with Satin Anodized, Bronze Hardcoat, Black Hardcoat or Polished Brass finish. Size: Made to order, We are able to custom make boards within the sheet size range. We are leading manufacturers, suppliers & exporters of School Whiteboard Non-Magnetic for Whiteboard Lab. 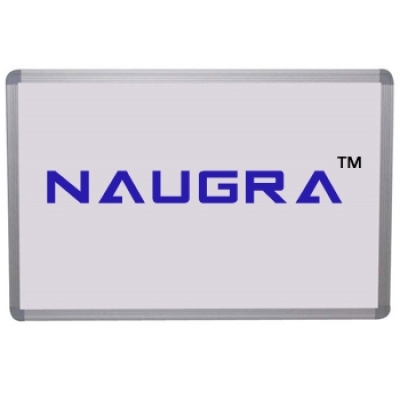 Contact us to get high quality designed School Whiteboard Non-Magnetic for Whiteboard Lab for schools, colleges, universities, research labs, laboratories and various industries. We accept bulk orders for government tenders in all countries around the globe.